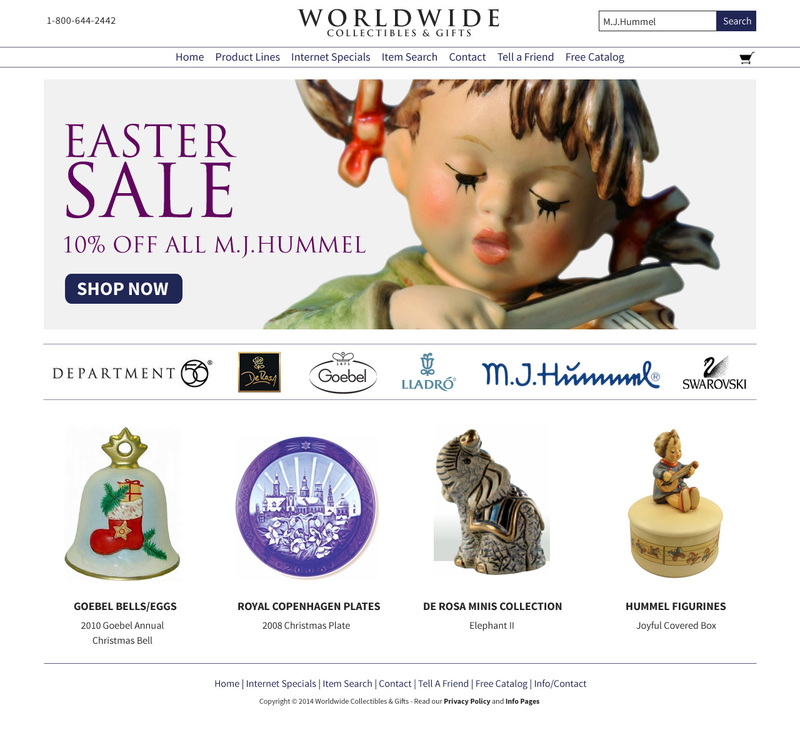 After 15 years without an update, I was approched by Worldwide Collectibles and Gifts to give their website a massive redesign and front-end coding overhaul. 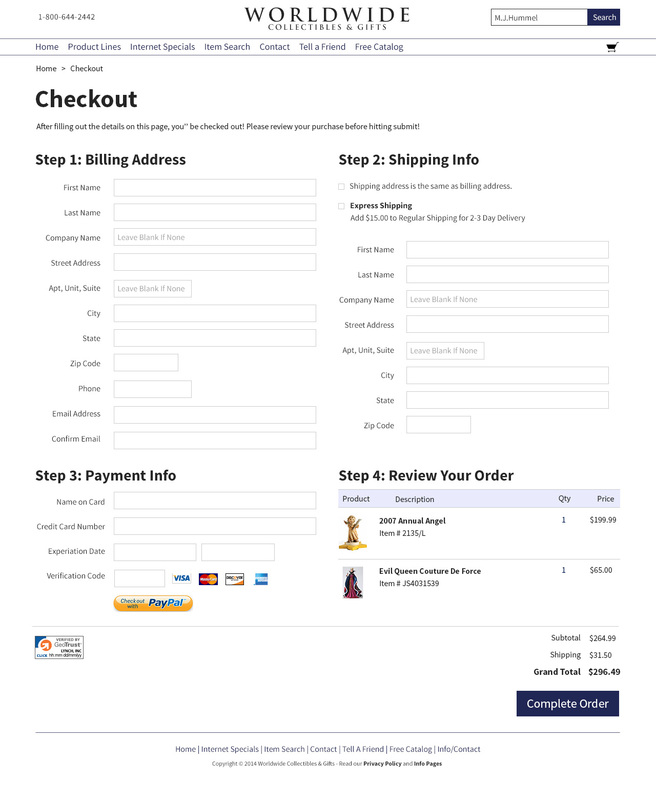 The designs streamlines their checkout process from a 6-step process to a simple one-page process to help decrease cart abandonment. We increased their SEO by introducing micro-tagging and semantic HTML coding. The design went from a static table for a website layout to a fully-responsive HTML5-based design that could work on anything from a desktop to a phone at a flea market.